Enjoy the NYE Fireworks our Front Steps....Then come inside for a night of New Years Eve Celebrations & Fun! DJ Grotzy Versace spinning Top 40 & all your favorite party jams! Full dinner menu available til 10pm...Last seating at 9:15pm...Reservations suggested as we do book up quickly and cannot guarantee a table without a reservation. 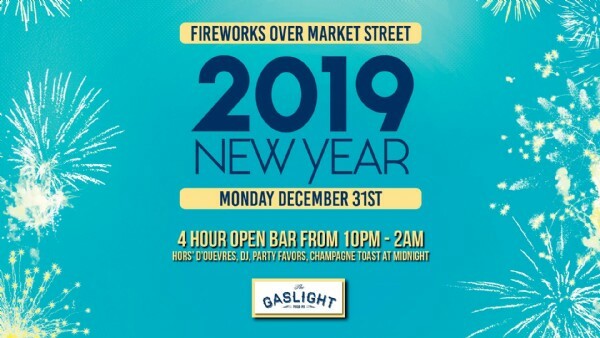 Don't miss out on having a LIT & Happy New Year at the Gaslight....Grab your Open Bar tickets TODAY before they're gone!